Store unique information against jobs, clients, leads or suppliers and create a powerful, customised database at your fingertips! Include information as contextual links – for example a contact’s Skype account, so you can easily click on it to initiate a call or chat and save time with one click social media interaction. Store important dates like birthdays against contacts, so you can surprise and delight them! Store industry types against your clients, and create targeted marketing campaigns. Add any information you want in the text field. Tip: Stick to the WorkflowMax naming convention and make sure the custom field name is descriptive enough! Build more meaningful reports by choosing the types of clients and fields you want to display. Filter results according to your specific criteria. View your customised reports online or export as a file. 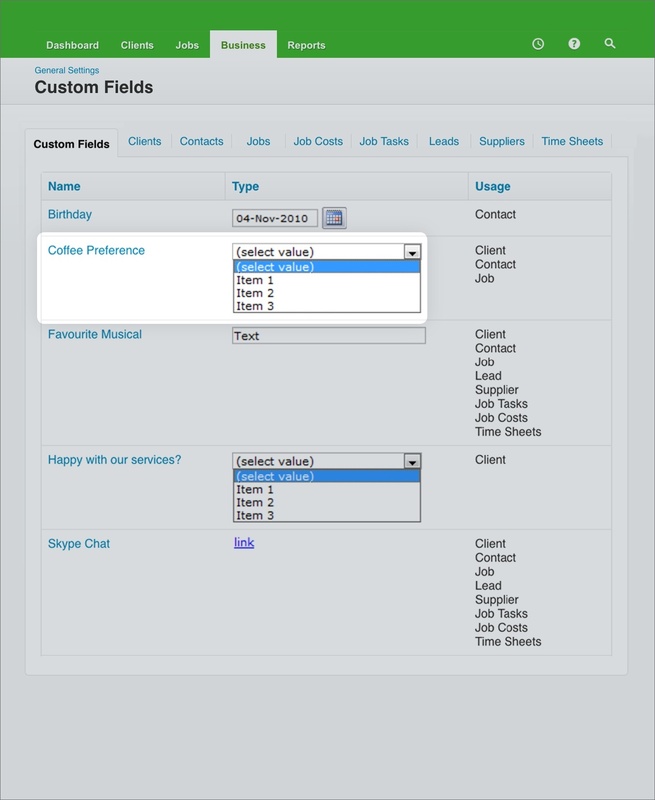 "Thanks to Custom Fields, I set up 9 jobs in less than 10 minutes. Is there another system that allows that much that fast? I doubt it!" Store valuable information against jobs, clients, and leads or suppliers and more. From birthdays to custom payment terms and coffee preferences, surprise clients with your memory the next time they’re in! 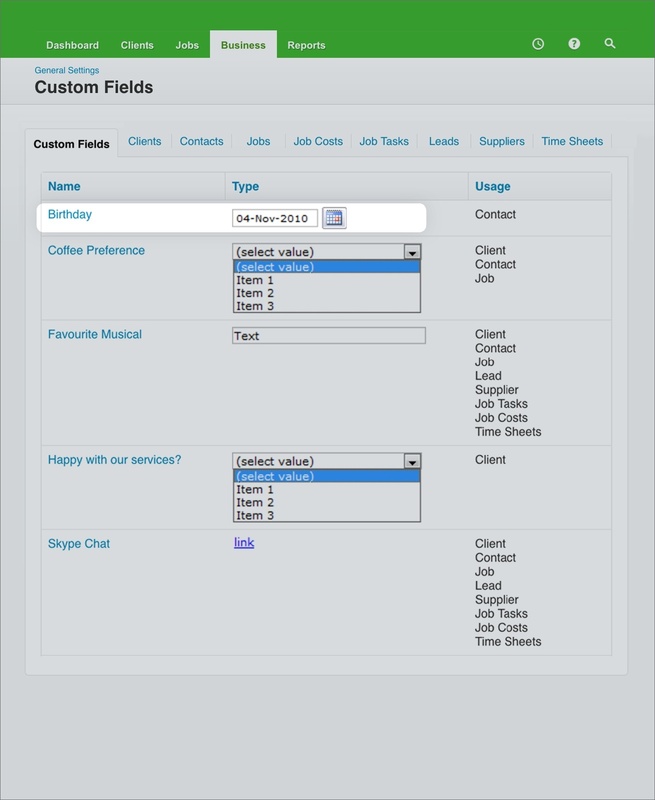 When a lead is won, any custom fields shared between the lead and job will automatically be copied to the newly created job. Make every datapoint count. Use the Report Builder to create a customised report in whatever format you need. You can pretty much store any information you want! 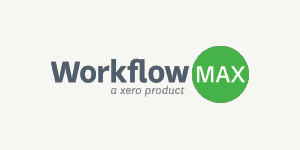 Get creative, have fun and make WorkflowMax work for you! 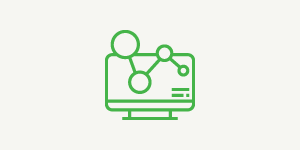 Add a date when you expect a lead to be won, enabling you to report forecasted revenues. I have a lot of specific data I need to capture. Is there a limit on how many custom fields I can have? Good question! There is no limit to how many custom fields you can create in WorkflowMax so make your database as detailed as you need! Can I edit a custom field after I’ve set it up? Sure you can! All you need to do is click into the custom field you want to edit, change the desired information and click “edit and save”. Editing custom fields will not remove the information stored against that custom field. 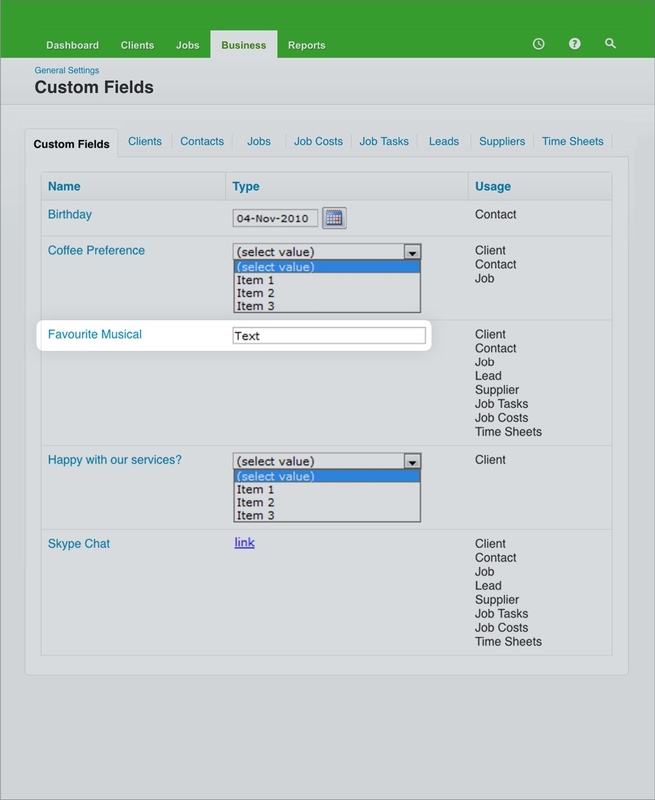 Can I make a custom field – for example in a job – mandatory? Unfortunately it is not possible to mark a custom field as compulsory in WorkflowMax, but you can use “*” in the headings to denote to staff it must be filled out. Great, we’ve set up all our custom fields, but we want to edit the type of field – can we do this? 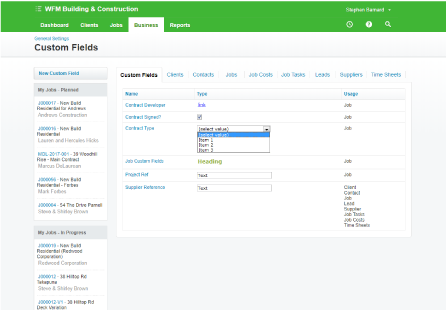 Currently in WorkflowMax you can’t do this – you will need to delete the field and re-create the new custom field with the preferred field type and manually update the custom field.